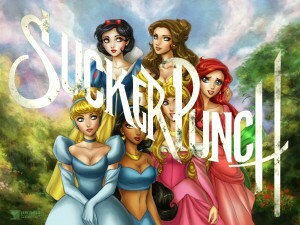 What happens when you combine Disney Princesses and Sucker Punch ? Disney Punch. That was pretty ingenious. Nice find! Clever! Someone went to a lot of trouble to put that together.